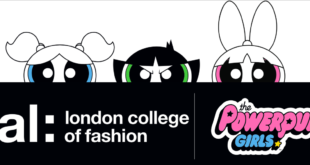 The survey was carried out to mark the return of The Powerpuff Girls to screens. After the premiere of Cartoon Network’s new Powerpuff Girls series this week, a nationwide survey has revealed that today’s girls are busting stereotypes, and are enjoying sport activities and video games. The survey of seven to 15-year-olds found that 84 per cent of girls loved sport, 10 per cent practiced martial arts and 59 per cent played video games. The study also found that girls prefer football to netball, with 29 per cent citing it was a game they loved playing or watching. Results also found that blue was the favourite colour for 53 per cent of respondents, and when asked what qualities a girl should have, 28 per cent of the girls said they should be tough. Charli XCX, singer and The Powerpuff Girls ambassador, said: “I remember when I was 15 and having all kinds of crazy things going on in my brain. As a young girl, that age can be a time of self-doubt, a time where you let your insecurities show, a time where you’re basically just a bit unsure. “Strong role models are super important during those phases of anyone’s life. The Powerpuff Girls are 100 per cent the strongest and coolest kind of role models to have around. The show flips gender stereotypes on its head and is accessible and fun for kids but also for people my age. The new series made its debut on April 25th at 6.16pm, and will be airing at the same time every weekday night.